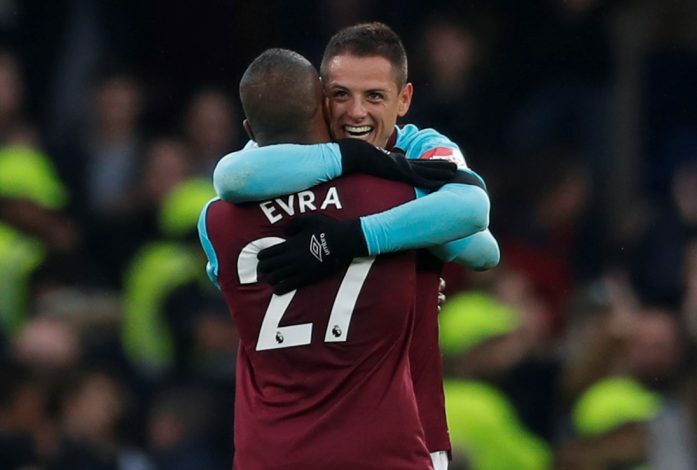 Patrice Evra made a legend of himself during his playing days with Manchester United, and the left-back has surely continued to do the same off the field. Evra’s social media profile is one of the most entertaining ones on the internet, and it shows a side of him that the world had never known before. The Frenchman has been wowing the fans with his songs, dances and fanatics online, ending each video by yelling the phrase “I love this game”. While the world highly awaits what Evra will be posting next, it is fair to say that he might have gone a little too far with his latest video. The player is seen to be caressing a full raw chicken in his newest post, and the viewers should be advised not to be with food or drinks while watching it. If this was not enough, Evra is further spanking the chicken while eating it RAW, and despite his bizarre content that we are so used to, this is certainly something one should avoiding laying their eyes on. Patrice put up the video with the caption, “I know it’s tomorrow but for mister #ilovethisgame it’s Thanksgiving everyday,” and that was absolutely no indication to what the audience was about to witness. The video got the former United captain trending, with Lewis Hamilton also giving his views on the same. The 5-time F1 World Champion commented, “Not gonna lie, this is weird,” and to be honest, we could not be agreeing more.